Does anybody know what's causing the problem? Why can the filesystem be mounted as read only at startup, but not if I remount it manually? This is most likely because something (by the looks of that command it is the BASH shell and SFTP-Server) is/are accessing the root filesystem. During boot nothing is accessing anything in / yet, so it can be set to read-only. However, once boot-up is complete, some software may want a lock on the filesystem or some files are being changed within. Obviously, as all the files that Raspbian uses - software, personal files, logs, etc. - are within the root filesystem. Thus you get the mount: / is busy error. If you were able to kill both BASH and SFTP-server and then run the command, I suspect that it would work fine. However, because BASH is the way you are entering the commands, and BASH is stored on the / partition, that can't happen. This causes the kernel to low-level try to remount all filesystems read only, see here. In my case, turning off swap was necessary, in addition to stopping any services and processes with files open for writing, so that I could remount my root partition as read only in order to run fsck on my root partition without rebooting. This was necessary on a Raspberry Pi running Raspbian Jessie. 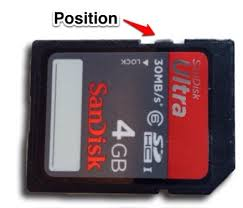 On many SD cards, there is a switch prohibiting write access. If it is off, switch it the other way to disable write protection. If the switch is not to blame, I would advise following the advice here for rescuing. When lsof and fuser do not show any files opened for writing on / (which seems your case), there could still be processes that have opened files that were deleted since, and they are blocking the remount. After restarting deamons shown in the list and killing the rest, mount -o remount,ro / went fine. you probably have some app writing to the filesystem... i suspect the sftp-server is transferring something. Not the answer you're looking for? Browse other questions tagged raspbian mount readwrite or ask your own question.